The new 2017 KTM Duke 250 has been launched in India. The 2017 Duke 250 has an aggressive front. It doesn’t get split headlamp design but still the headlamp outline. There is a LED surround and a halogen headlamp. The seat design has been revised and even a new redesigned tail end also. The new Duke 250 will not get the TFT screen like the other bigger KTMs. The Duke 250 produces 248cc, four-stroke single cylinder engine. This is water cooled engine and is made available with the current engine. There are no changes in the power output or even torque. With 31bhp being produced at 9000rpm and 24Nm at 7500rpm, KTM would have at the most made some minor tweaks for better performance. The six-speed box is the same too. This engine gets the same Trellis frame, 13.5-litre fuel tank, however no ABS. No larger disc brake either. The Duke 250 gets the same split headlamp design, but it misses out on features like the 390. It does get the slipper clutch as well. Then there is also the side slung exhaust as well. Open cartridge USD forks. Just like the other KTM siblings, the new KTM Duke 250 has the same light tubular trellis frame with bolt-on sub-frame. In terms of suspension, the front gets telescopic fork and a monoshock for the rear. The bike weighs about 139 kilograms. The Duke 250 comes with dual-channel ABS and four-piston caliper. There are 17-inch wheels on 110mm and 150mm width for front and rear tyres. The KTM Duke 250 is expected to return around 30kmpl on city riding conditions. On the highway it is expected to return around 35kmpl. This will depend upon riding style and conditions. This will be a good alternative for those who want to upgrade from the Duke 200 but do not want to go for the Duke 390. It will also provide good competition to the Bajaj Dominar 400, Mahindra Mojo and the recently launched Yamaha FZ250. 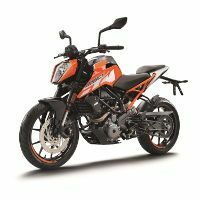 * Prices of KTM Duke 250 indicated here are ex-showroom price not the on road price of Duke 250. Price list is subject to change and for the latest KTM Duke 250 India prices, submit your details at the booking form available at the top, so that our sales team will get back to you. KTM Duke 250 mileage mentioned here is based on ARAI test drive made under standard test conditions. 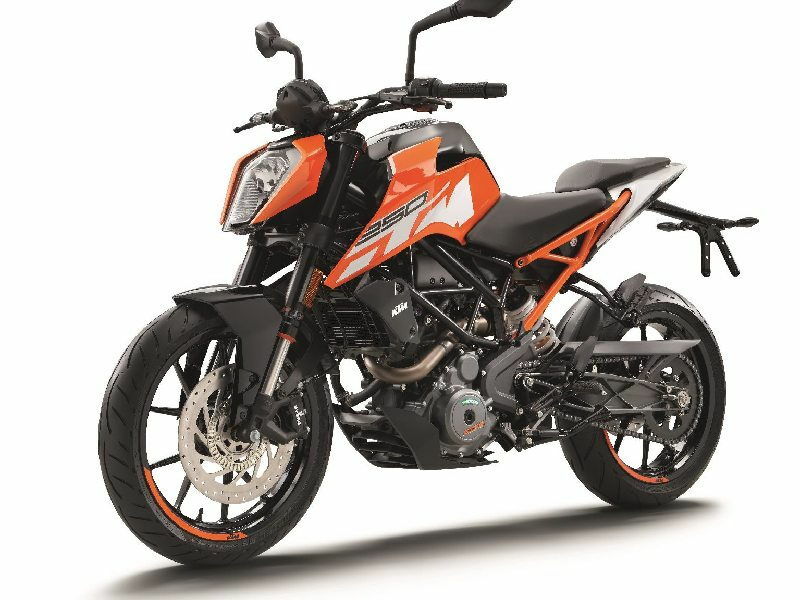 "The prime specs of KTM Duke 250 are listed here. The overall length, width of the bike should give you an idea about its manoeuverability to sneak and run through the traffic jams.Engine specs of Duke 250 are also listed here. With the power (in bhp) and torque (Nm) figures the most important ratios - power to weight ratio of Duke 250 and torque to weight ratio. The displacement (in cc) is the measure of cubic capacity of the engine. The performance figure of the bike zero to sixty and zero to 100 in seconds will give you the sense of the power the bike possess and its on road performance. The lesser the time taken by the bike to reach 60kmph or 100kmph the faster it is over it competitors "